Dr Teri Dankovich, a researcher at Carnegie Mellon University in Pittsburgh USA has developed and tested a book whose pages can be torn out and used to filter drinking water. Trails are impressive, with the process bringing the water up to US drinking water standards. 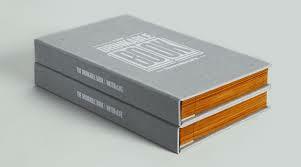 The book’s pages contain nanoparticles of silver or copper, which kill bacteria in the water as it passes through. Some of the particles do remain in the water however, but they remain within the legal limits. Now here I have to add my own input to the debate. As readers might know I have written several posts about nanomaterials and it is one of the fields that I work in, and I would question how legal limits are defined. Nanoparticles are treated like any other particles, and their scale is not taken in account, but this seems to raise some questions. The fact that they are so small means that they can pass easily into the blood stream, so their effects may not be the same as larger particles of the same materials. So I have to leave an open question mark over the legal issue, but the fact that the water is drinkable is a great advantage. And this leads me to ponder the fact that innovation, and its level of responsibility and ethical justification, must be local. An invention or innovation that brings drinkable water to millions, is portable and cheap and could save many lives, must be seen within its context. Nanoparticles in the water in this situation, may not be same an nano particles found in water because of factory pollution or deliberate addition when other processes might be readily available. An article on the BBC explains that “All you need to do is tear out a paper, put it in a simple filter holder and pour water into it from rivers, streams, wells etc and out comes clean water – and dead bacteria as well”. And one page can clean up to 100 litres of water. A book could filter one person’s water supply for four years. The project is looking for funding, so if you are interested and have some money to spare click on the link at the start of the post and pass them over your pocket money. As a final thought, nanotechnology has come in for criticism from the academic community for its lack of regulation, and rightly so. But it also brings a world of possibilities, many of which like the story above that could transform people’s lives. This is the fine line that interests me in my work, how to make the most of scientific developments at the least environmental and social costs, and for the highest number of people.